For Immediate Release: The Raymond F. Kravis Center for the Performing Arts hosted its second Student Share Celebration for the Disney Musicals in Schools program on Tuesday, April 2. More than 150 students from four local Title I elementary schools performed in the showcase for hundreds of family and friends. The showcase took place in the Center’s Dreyfoos Hall. The students, from Academy for Positive Learning in Lake Worth, Dr. Mary McLeod Bethune Elementary in Riviera Beach, Meadow Park Elementary in West Palm Beach and Lincoln Elementary in Riviera Beach performed such favorite musical selections as “Friend Like Me” from Aladdin KIDS and “Bare Necessities” from The Jungle Book KIDS. Local media personality MoShay LaRen from X102.3 FM emceed the event. 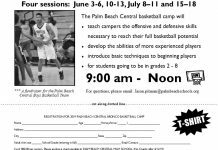 The four Palm Beach County schools joined four others in the program that were chosen last year. The original four schools – Egret Lake Elementary in West Palm Beach, Forest Park Elementary in Boynton Beach, Glade View Elementary in Belle Glade and Starlight Cove Elementary in Lantana – are continuing in the program and four additional schools will be selected by June, bringing the total participating to 12. Applications are being accepted through May 3, 2019 for the four new Title I schools to apply to participate in Disney Musicals in Schools for the 2019-2020 school year. The program is an initiative developed by Disney Theatrical Productions and is now celebrating its 10th year. As part of the celebration, Disney donated $9,000 to the eight participating schools to support their theater programs. The schools selected for 2019-2020 will participate in a 17-week musical theater residency, led by a team of teaching artists trained by the Kravis Center and Disney Theatrical Productions, at no cost. Each school will receive performance rights, education support materials and guidance from the teaching artists. The program features a professional development focus, through which participating school teachers partner with Kravis Center teaching artists to learn how to produce, direct, choreograph, and music direct, culminating in their first 30-minute Disney KIDS musical at their school. As a capstone to the experience, the Kravis Center will host a third Student Share Celebration in 2020 during which each school performs one number from their show in the Center’s Dreyfoos Hall for an audience of students, teachers, family, and community members. Any Palm Beach County Title I (at least 70% of students eligible for Free/Reduced Lunch) public elementary school is eligible to apply for the Disney Musicals in Schools program. The application deadline is May 3, 2019. For more information or to apply, log on to kravis.org/professional, call the Kravis Center Education Hotline at 561.651.4251 or send an email to gumbinner@kravis.org. Disney Musicals in Schools was launched in 2010 in response to Disney Theatrical Production’s concern that under-resourced public elementary schools were not afforded equitable access to the arts. 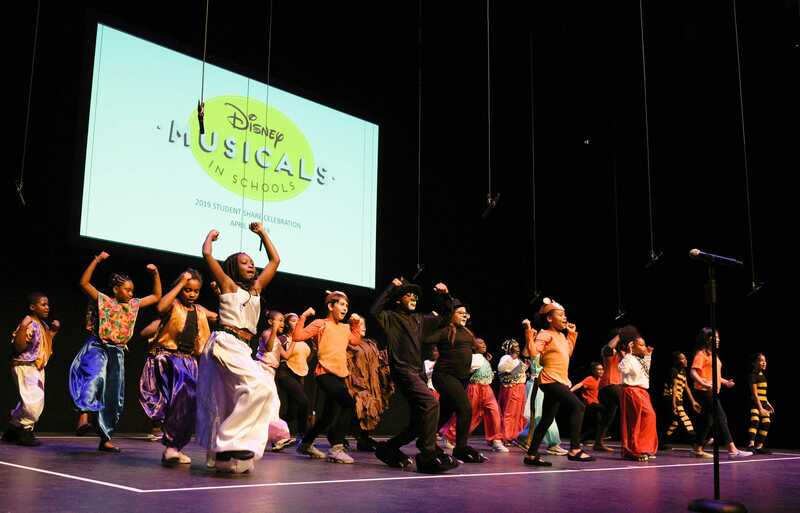 After successfully offering the program in New York City schools, Disney Theatrical Productions began partnering with organizations in other communities across the United States. For more than 26 seasons, the Kravis Center has helped students of all ages fuel their imaginations and expand their lives through comprehensive arts education programs. Since 1992, over 2.5 million students from Palm Beach, Broward, Martin, St. Lucie and Okeechobee counties have visited the Kravis Center, attending performances through the S*T*A*R Series and participating in a wide variety of educational programming. To learn more, please visit kravis.org/education. DISNEY THEATRICAL PRODUCTIONS (DTP) operates under the direction of Thomas Schumacher and is among the world’s most successful commercial theatre enterprises, bringing live entertainment events to a global annual audience of more than 20 million people in more than 50 countries. Under the Disney Theatrical Productions banner, the group produces and licenses Broadway productions around the world, including Beauty and the Beast, The Lion King, Elton John & Tim Rice’s Aida, TARZAN®, Mary Poppins, a co-production with Cameron Mackintosh, The Little Mermaid, Peter and the Starcatcher, Newsies, Aladdin, and Frozen. Other successful stage musical ventures have included the Olivier-nominated London hit Shakespeare in Love, stage productions of Disney’s High School Musical, Der Glöckner Von Notre Dame in Berlin, and King David in concert. DTP has collaborated with the country’s leading regional theatres to develop new stage titles including The Jungle Book, The Hunchback of Notre Dame and Freaky Friday. Disney Theatrical Productions also delivers live shows globally through its license to Feld Entertainment, producer of Disney on Ice and Disney Live! For over 30 years, Disney on Ice and Disney Live! have brought beloved Disney stories and characters annually to over 12 million guests in nearly 50 countries worldwide, through productions such as Marvel Universe Live! and Frozen, the most well attended and highest grossing Disney on Ice production to date. 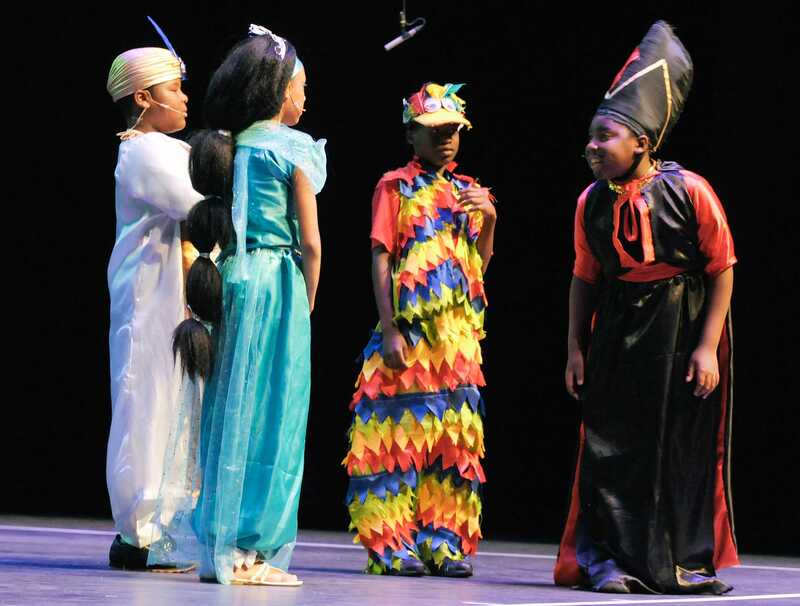 In addition, DTP licenses musical titles for local, school and community theatre productions through Music Theatre International, including The Lion King Experience, a unique holistic arts education program wherein accredited elementary and middle schools produce condensed, age-appropriate JR. and KIDS adaptations of The Lion King. 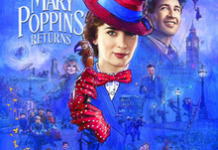 Music Theatre International (MTI) is one of the world’s leading theatrical licensing agencies, granting theatres from around the world the rights to perform the greatest selection of musicals from Broadway and beyond. Founded in 1952 by composer Frank Loesser and orchestrator Don Walker, MTI is a driving force in advancing musical theatre as a vibrant and engaging art form. MTI works directly with the composers, lyricists, and book writers of these musicals to provide official scripts, musical materials, and dynamic theatrical resources to over 70,000 professional, community and school theatres in the US and in over 60 countries worldwide. MTI is particularly dedicated to educational theatre, and has created special collections to meet the needs of various types of performers and audiences. MTI’s Broadway Junior™ shows are 30- and 60-minute musicals for performance by elementary and middle school-aged performers, while MTI’s School Editions are musicals annotated for performance by high school students.